British explorer James Cook was keen to discover the possible commercial value of New Zealand's flora and fauna, and to aid in this task he brought with him two naturalists, Joseph Banks and Daniel Solander. 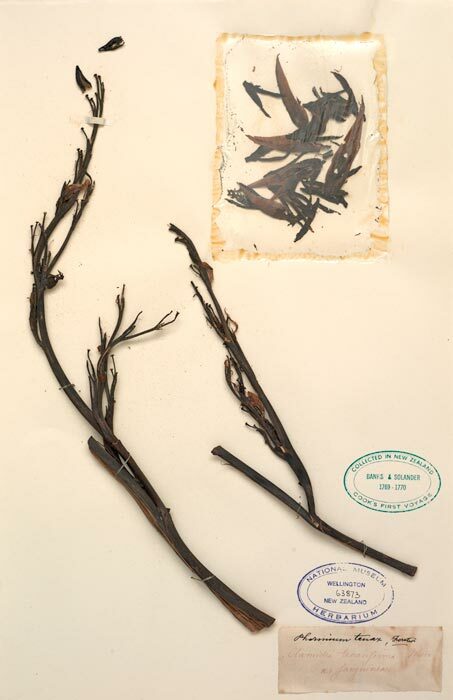 They collected this specimen of Phormium tenax (New Zealand flax), which they quickly realised might be valuable for making rope. Permission of the Museum of New Zealand Te Papa Tongarewa must be obtained before any re-use of this image.